This week's big and small is a little late, but at least we made it! Sunday was spent at the Pennsylvania Renaissance Faire, celebrating the upcoming wedding of my (fraternity) big sister, Shana. 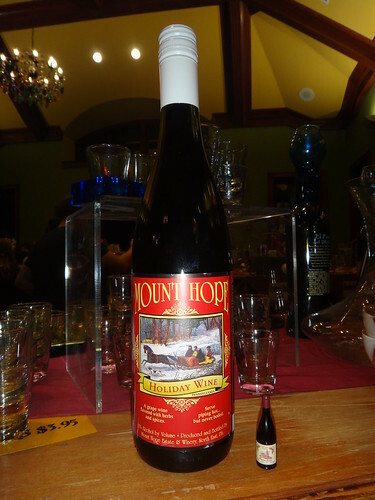 I brought along some Rement wine to pair with the Mount Hope Winery fineries. Hubby and I bought a good selection last time we went to faire, so I only picked up this bottle of the Holiday Wine. You want the one on the left or the right? I hope you had a great time at the Faire!